Graded VG 40 by SGC. Very attractive example of one of the four classic poses of Ty Cobb from the T206 White Border series. The card presents with a crisp image, near-perfect registration, and centering toward the bottom right, with light corner wear and a light stain on the left border. A few minuscule spots of paper loss near Cobb's image are mentioned strictly for the sake of accuracy. 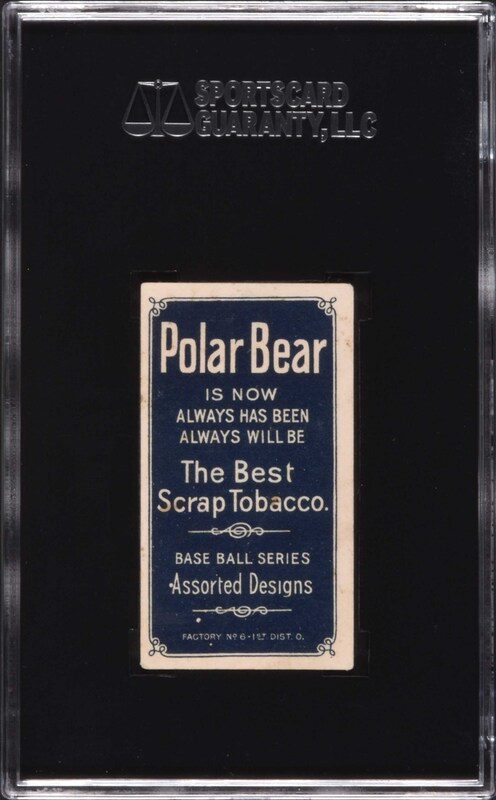 Clean Polar Bear advertisement on the reverse is centered to the far left. 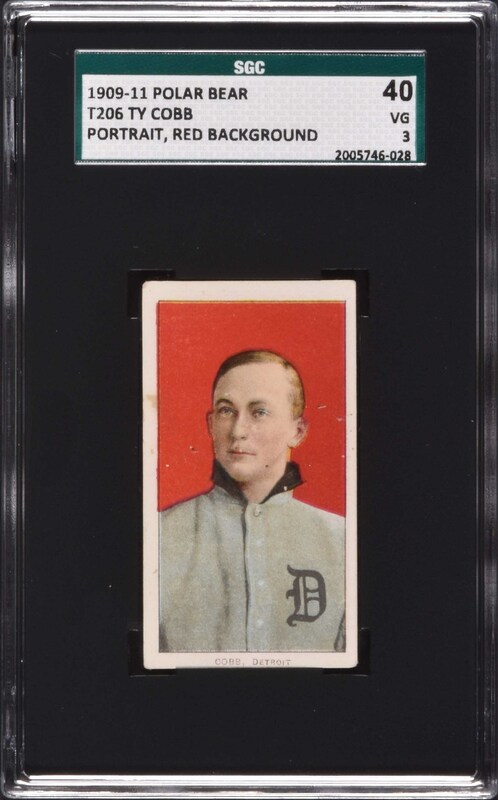 This is a very appealing example of one of the key cards of Ty Cobb from the most popular set of the era. Reserve $500. Estimate $1,000+.